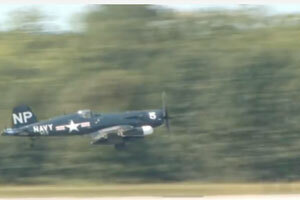 In this video, Dan McCue flies the Collings Foundation F4U Corsair through an aerobatic performance over NAS Oceana, prior to flying a Legacy Flight. Corsair Bureau Number (BuNo) 124692 skims past the top of a snowy mountain peak in search of adversarial aircraft. Below, thousands of UN soldiers fight against bitter-cold temperatures and advancing communist troops. Fifty years later. BuNo 124692 still takes to the skies, no longer fighting enemy forces, but helping to preserve history from a half century ago. Widely regarded as the most capable carrier-based fighter of the Second World War, the F4U Corsair was designed to employ the largest engine and propeller ever fitted to a fighter up to that point. 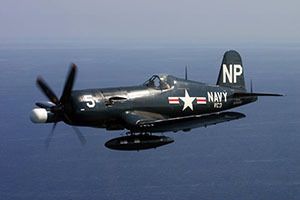 First flown on May of 1940, its entrance into the combat arena with the US Navy was delayed due to concerns about visibility and landing characteristics. 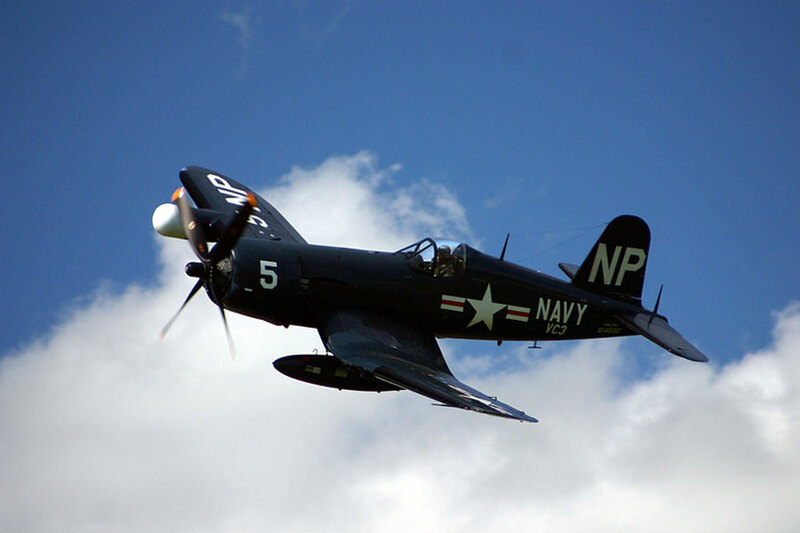 In March of 1943, the land-based Marines were the first US forces to fly the Corsair in combat. It was not until the British proved that the Corsair could safely operate from carriers that the Navy put the type into service in January of 1944. Any doubt about the Corsair’s fighting ability was quickly eliminated as the plane succeeded in shooting down 2,140 enemy aircraft for the loss of only 189 F4Us. 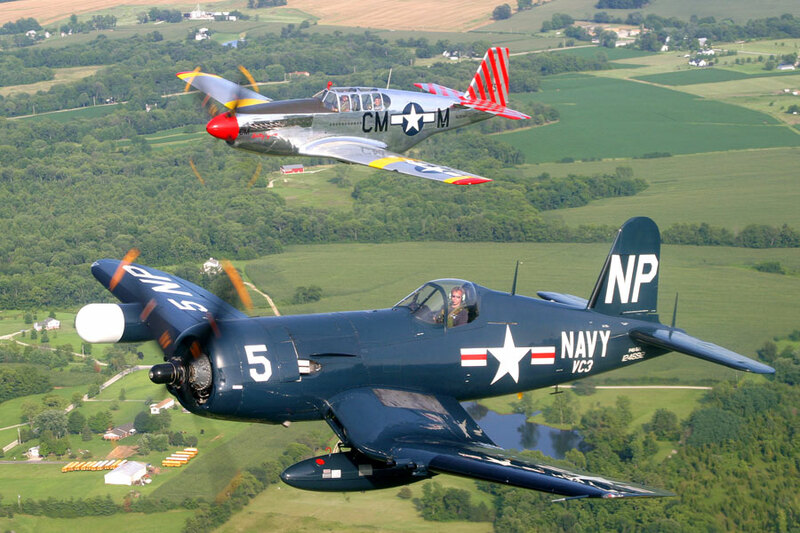 A total of 24 Corsair pilots became aces during the war. While the end of the Second World War saw companies like North American and Republic lose their government contracts, Chance Vought saw continued orders for Corsair production. The plane that had proved so potent during WWII was deemed capable enough to warrant further production in the post war years. Subsequent designs saw the installation of more powerful engines, electric trim, radar, and other performance enhancing features. In the years after 1945, the world gradually became engulfed in a new conflict, the Cold War. This simmering tension erupted in June of 1950 when North Korean troops poured over the 38th parallel into South Korea. By this time, jet technology had superceded the Corsair, but the WWII veteran fighter could still deliver potent ground attacks and was useful as a night fighter. Planes once bordering on obsolete were now recalled from reserve squadrons and storage depots. In addition, new examples were added to the Chance Vought production line. The production continued until December of 1952. It was at this point in time that newly-built BuNo 124692 was transferred to VC-3, based aboard the carrier Essex. From November of 1951, through February of 1952. 124692 flew seventy-seven combat hours over Korea in some of the harshest conditions imaginable. Intense cold, frequent storms, and the dangers of combat made this tour extremely difficult. As a -5NL, 124692 saw most of its service as a night fighter, patrolling the black skies in search of enemy aircraft. After this tour, 124692 served aboard the USS Leyte as well as the USS Tarawa and USS Boxer. After subsequent assignments with the Marines and Reserve Units, the plane was placed in storage and stricken from the naval inventory in 1956. 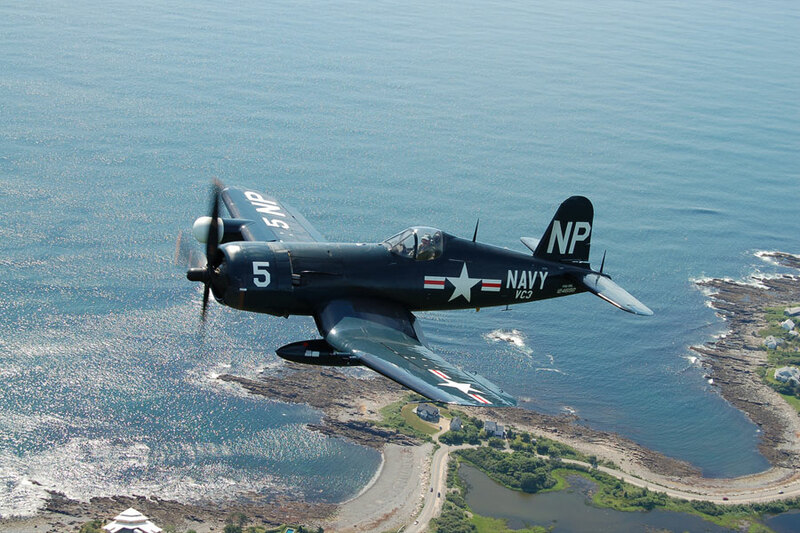 The Collings Foundation has restored BuNo 124692 back to its VC-3 combat condition and is proud to fly the Corsair in honor of those who sacrificed so much, so many years ago.